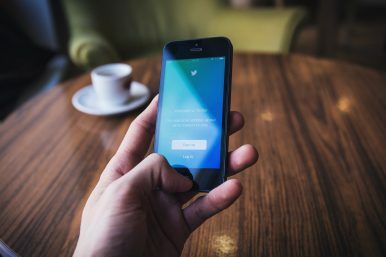 Twitter is sending emails to some journalists, human rights activists, and even foreigners to notify them of “official correspondence” it has received against particular tweets allegedly in violation of Pakistani law. Abdul Qadeer Baloch, better known as Mama Qadeer, is a Baloch rights activist from Balochistan. He received an email from Twitter last Thursday, in which the micro blogging website informed him that it had received official correspondence regarding his Twitter account. In the particular tweet referenced, Qadeer had written about 10 dead bodies that were found in the province. He writes in this tweet that those dead bodies were handed over to a nonprofit social welfare program for burial in the Tera Mill graveyard, Quetta without conducting any DNA tests. Qadeer, who is the founder of the International Voice for Baloch Missing Persons, believes that those were dead bodies of missing persons. In his tweet, he demanded DNA tests on the bodies under the supervision of United Nations. The email he received from Twitter mentions that the company was contacting him in response to official correspondence against his Twitter account and that one of his tweets was in violation of Pakistani law. The message, however, does not mention who filed the complaint and which law his tweet was allegedly violating. He posted the screenshot of the email in a tweet and asked if championing for human rights was a crime, or if demanding a DNA test of unidentified corpses was a violation of Pakistani law. I have received an email frm @Twitter where I’m informed that I have tweeted some content tht n violation of Pakistan law. Another human rights activist from Balochistan, Lateef Johar Baloch, received the same email from Twitter for retweeting Qadeer’s tweet. “What did I tweet? I questioned the ten bodies recovered in Balochistan buried without DNA tests. How did this break Pakistan’s laws? Is there something Pakistani authorities want to hide?” he asks in a tweet. In Balochistan thousands of civilians are missing. Locals believe that Pakistan’s military is behind these abductions. The actual number of missing persons is not known and mainstream media outlets don’t give much coverage to these abductions or the protests against the disappearances. Earlier this month, senior journalist and anchorperson Mubashir Zaidi had received a similar email from Twitter for one of tweets regarding the murders of Khyber Pakhtunkhwa superintendent of police Tahir Dawar and former member of the National Assembly Ali Raza Abidi. Twitter notified him that the official correspondence mentioned that his tweet was in violation of Pakistani law. Ali Raza Abidi, who was gunned down on December 25 outside his residence, was one of the strongest voices in the country. Hours after his brutal murder, Zaidi, in a tweet asked about the status of the investigations into the two murder cases. Dawar went missing from Islamabad on October 26 last year. In mid-November, pictures of a dead body found in Afghanistan’s Nangarhar province started circulating on social media platforms. Later, government confirmed that those were pictures of Dawar. Taha Siddiqui is another journalist from Pakistan who received a similar email from Twitter. Taha left Pakistan after a failed abduction attempt he blames on the powerful military over his frequent social media criticism. He is now settled in Paris, France and speaks openly against the Pakistani army on social media networks. Twitter had sent a notice to columnist Gul Bukhari as well for her tweet in which she criticized the government’s lack of action against Tehreek-i-Labbaik Pakistan (TLP) Chief Khadim Hussain Rizvi. Other than these examples, several bloggers and foreigners have also received similar notices from Twitter. It is believed that the powerful military of the country is behind these complaints, which are increasing with every passing day. According to a biannual report issued by Twitter in December last year, Pakistani authorities reported 3,004 Twitter accounts to the microblogging website for alleged offenses like “spreading hate material” and “inciting violence” in the first six months of 2018. Last year the Pakistan Telecommunication Authority (PTA) had informed the Senate Standing Committee on Cabinet Secretariat that while Facebook, YouTube, and other social media platforms had complied with requests from the government to block objectionable content, Twitter was not obliging. The government threatened to block the platform, after which it seems that the company has given in. Freedom of expression, which is already declining in Pakistan, seems to be shrinking in online spaces too. The internet is heavily monitored and censored in Pakistan. Facebook regularly removes pages and posts critical to the Pakistani government, its policies, army, and religion. YouTube has launched a local version for the country after it was kept banned for three years. It was done under the pretext of controversial blasphemy laws but now it seems that the country wants to shut down any voice that it finds offensive. Journalists and human rights activists are the main targets. Tehreem Azeem is a digital media journalist based in Lahore, Pakistan. Despite a growing online population, Pakistan's politicians have little use for the internet.